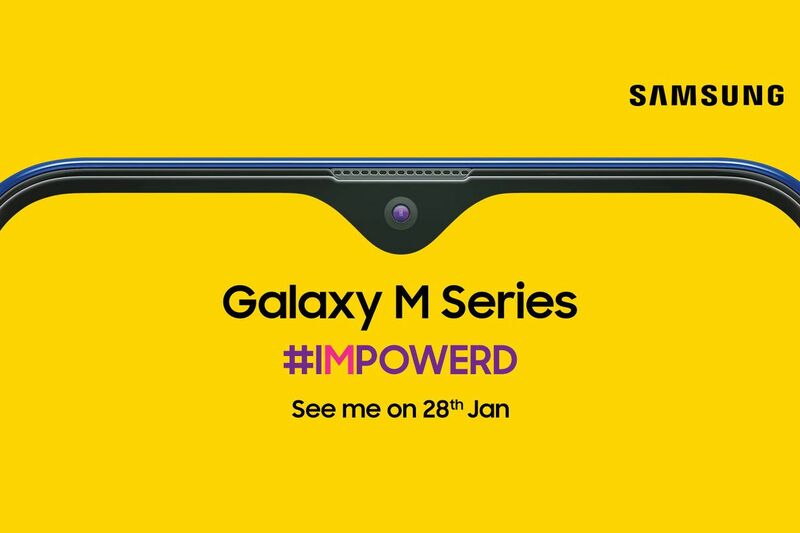 Samsung’s new mid-range Galaxy M series will be launching in India on January 28th, the company has announced on Amazon India, via India Today. The lineup is expected to consist of three phones in total (the M10, M20, and M30), all of them featuring Samsung’s new “Infinity-V” teardrop display. The announcement of the new India-focused phones comes as Samsung is under intense pressure from Chinese rivals in the country. According to data from Counterpoint, Xiaomi overtook Samsung’s Indian market share in Q4 2017, and held as much as a five point lead as of Q3 2018. The Amazon listing appears to show that the phone will have a USB-C charging port alongside a headphone jack.